A Vehicle tracking system combines the use of automatic vehicle location in individual vehicles with software that collects these fleet data for a comprehensive picture of vehicle location. Modern vehicle tracking system commonly uses GPS (Global Positioning System) or GLONASS (Global Navigation Satellite System) technology for locating the vehicle. Vehicle information can be viewed on electronic maps via the Internet or specialise software. Urban public transit authorities are an increasingly common user of vehicle tracking systems, particularly in large cities. We are an affluent firm, engaged in offering a broad range of GPS Vehicle Tracking System that allows determining the precise location of a vehicle, person, or other asset. Manufactured using premium quality components and the latest technology, this tracking system is designed as per the industry norms. The offered tracking system is checked on various quality measures to ensure its quality. 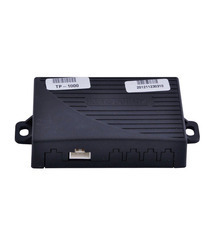 Looking for GPS Vehicle Tracking System ?